With the 2019 opening day just a few days away, what better way to celebrate than looking into the future! Alright maybe not the best timing but I wanted to give this a try. If the Twins sign zero free agents this is what I predict the lineup will look like in 2021. The first two spots are the same as what is likely to happen in 2019. Kepler and Polanco will both be in the middle of their five year contracts and hopefully will see success in these roles. Kirilloff in the third spot is definitely arguable but I think he will be the hitter he is projected to be. The OBP and SLG combine for a great hitter and someone who has a great ability to drive in runs all over the bases. Sano and Rosario at four and five is what will likely happen a lot in 2019, and I predict there will be enough success to where we still see them both in 2021. Sano’s future is a lot more cloudy than Rosario’s but I still believe in the offseason he had. Byron Buxton at six was probably the hardest for me. I didn’t know where he would be hitting so I just slid him in at an open spot in the middle of the order. If he is able to hit at the league average with his fielding and speed he should be more than alright. The seventh and eight spots go to current number 6 prospect Brent Rooker and current backup catcher Garver. I think Garver will figure out his defense enough while his offense is already above average for a catcher. Through 2 minor league seasons Rooker has 40 home runs and an .889 OPS. He hopefully will serve as a quality DH option. Finally, Royce Lewis will finish it off. Lewis will be getting his first meaningful playing time in 2021 and will move up in the order, but to start the season I have the five tool prospect hitting ninth. Overall if everything goes as planned this lineup looks very dangerous and would be fun to watch. Alright back to 2019 now. Let’s go Twins! 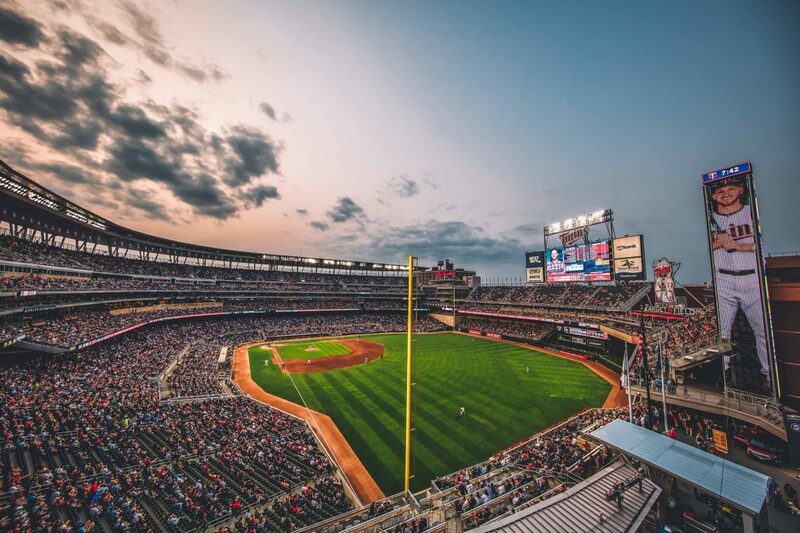 Go follow my Twitter @MnTwinsTalk18 for daily updates and fan interaction.